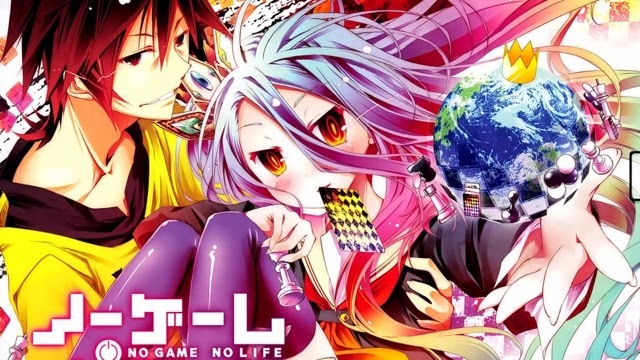 I just watched No Game No Life and i think that the anime is a little bit.... Well ya see, the two gamers here (Sora and Shiro).. Yea i surprised when seeing their status, especially Shiro. It's weird that she never goes to school before ^~^ hehe not teasing. And then their reaction when being separated each other (a little bit too.. Well yeah). And Sora... He's really a gaming genius, until he knows whether a person is cheating or not (now to the reality, i dun even know what is cheating in games). But people thinks he's a cheater since he's undefeatable.. The world they entered to (which is the one that they think is the right world) is really is a land of games. 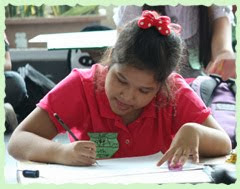 The rules are pledge 10 and everything there are decided by games, especially for decide the next king! (Sooo perfectly wow) but sadly, Steph-chan doesn't win that gambling tournament (which is also to decide the next king). And i think in that world, it's only based by classic games. Before, i though it was based by video games (since it says "It's all based by games"). Hoho i think the creator must be really creative this time. O yeah, one fact. I think this anime was created by the creators of Pet Girl Of Sakurasou. Because the graphics is same and you may realize this. Maybe, Sora and Shiro's seiyuu is same as Sorata (lose the Ta) and Mashiro (lose the Ma) and it's surprise me (before i dun even believe it). But i dun know it's true or not.